Hart, George O. 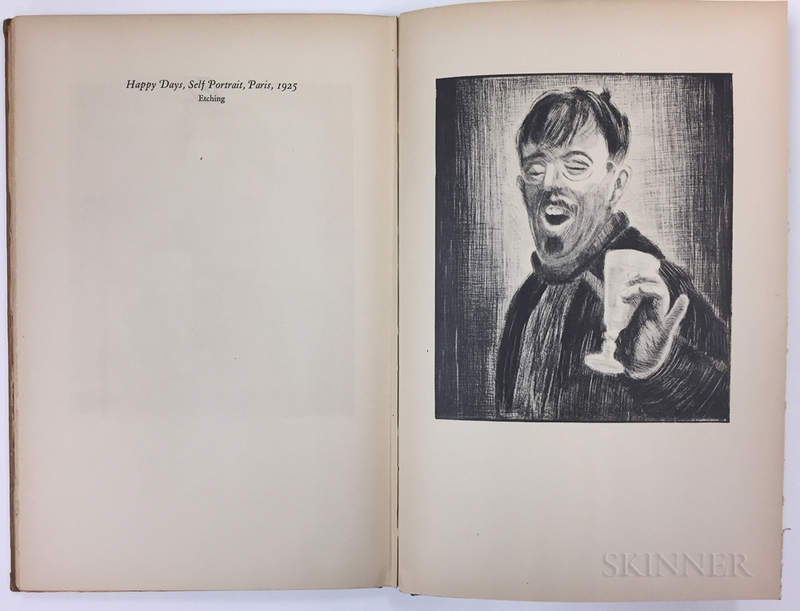 "Pop" (1868-1933) Twenty-four Selections from his Work , with Joseph & Jennie Hirshhorn's Bookplate. Hart, George O. 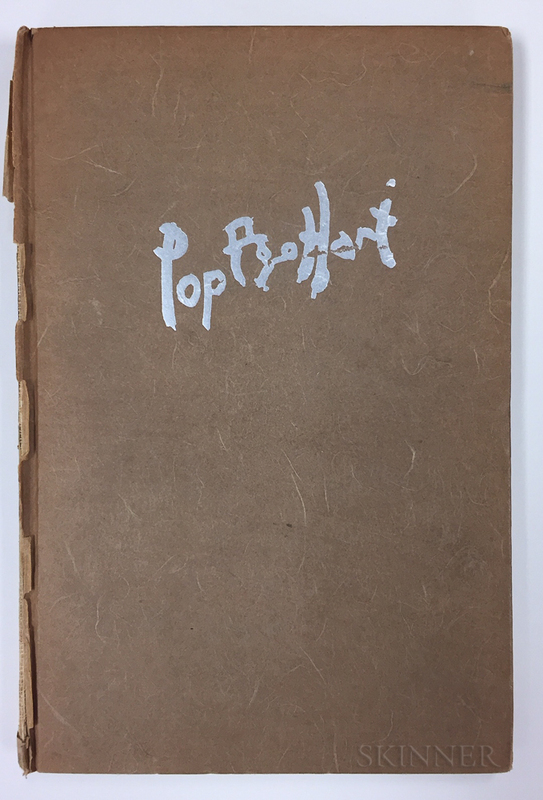 "Pop" (1868-1933) Twenty-four Selections from his Work , with Joseph & Jennie Hirshhorn's Bookplate. Hart, George O. "Pop" (1868-1933) Twenty-four Selections from his Work , with Joseph & Jennie Hirshhorn's Bookplate. Hart, George O. "Pop" (1868-1933) Twenty-four Selections from his Work , with Joseph & Jennie Hirshhorn's Bookplate. Hart, George O. 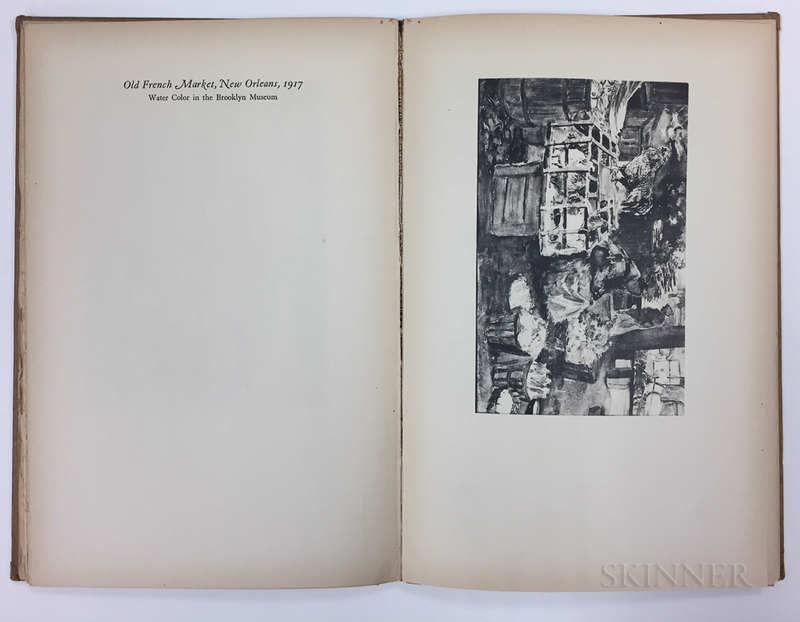 "Pop" (1868-1933) Twenty-four Selections from his Work , with Joseph & Jennie Hirshhorn's Bookplate. Hart, George O. "Pop" (1868-1933) Twenty-four Selections from his Work , with Joseph & Jennie Hirshhorn's Bookplate. Hart, George O. 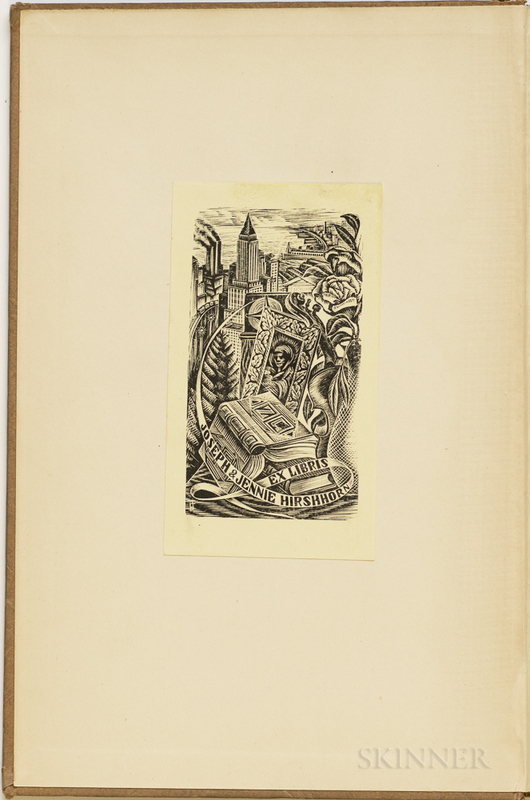 "Pop" (1868-1933) Twenty-four Selections from his Work, with Joseph & Jennie Hirshhorn's Bookplate. New York: The Downtown Gallery, 1928. 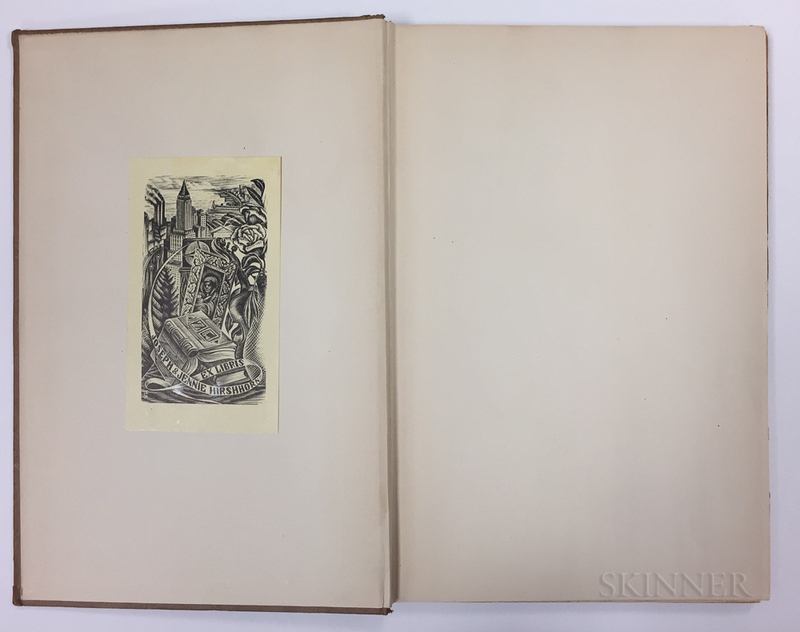 Octavo, edited, with an introduction by Holger Cahill, illustrated, publisher's paper-covered boards, titled with the artist's signature in silver foil on the front cover (spine perished), with the Hirshhorn bookplate pasted inside the front board, 9 1/2 x 6 1/4 in. Property of Joseph H. Hirshhorn, (1899-1981) financier, philanthropist and benefactor of the Hirshhorn Museum and Sculpture Garden, Smithsonian Institution, Washington, DC. 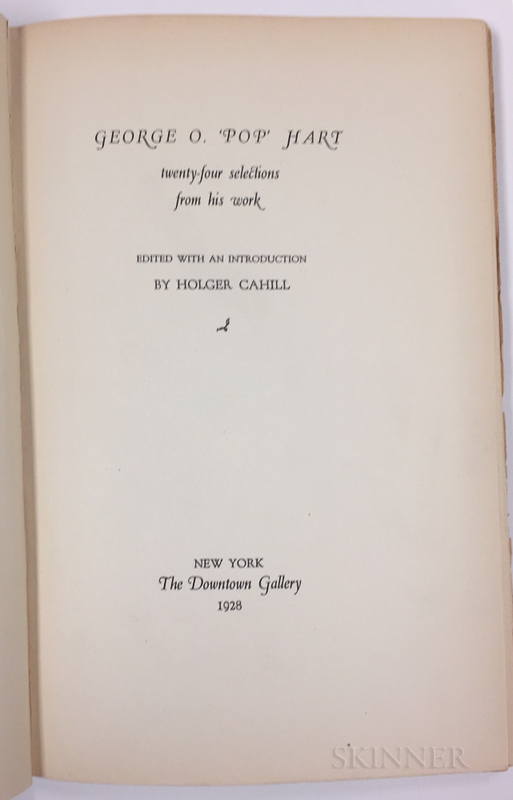 Holger Cahill, Joseph H. Hirshhorn, Jennie Hirshhorn, Washington, DC, Bookplate, Culture of Washington, D.C., Hirschhorn, Hirshhorn Museum and Sculpture Garden, Joseph Hirshhorn, Stockbrokers, Visual arts, Washington, D.C.